Chenjiagou's Tai Chi Schools & Teachers - The China Taichi Guide is a Directory of Tai Chi Schools & Tai Chi Teachers in China. 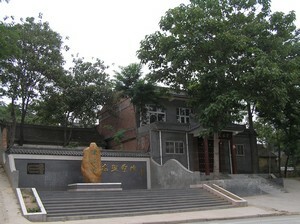 Chen Zhao Pei's original school is now run by Chen Xiao Xing, Chen Xiao Wang's brother and grandson of Chen Fake. 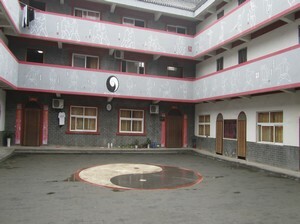 The school is large and set up to cater for the needs of over a hundred students receiving a long term Chen Tai Chi education. Western students learn inside the central hall, along with the most senior level students. The main teacher is Chen Xiao Xing's son, Chen Zi Qiang, who is also a very high level practitioner, famous in China and he is assisted by his brother Chen Zi Jun. There are many other good teachers residing in the school as well and so this may be an interesting place to learn the art of Chen Tai Chi. The Chen family has more lineages than just Chen Fake and Chen Zhao Pei's and one of the strongest lines is Chen Zhao Sen's, a very senior 19th Generation Grand Master residing in Chen Jia Gou with a school open to Westerners. He is famous in China especially for his Chen Halberd, but not outside at the moment. Choosing a teacher here is not easy, but for myself, I chose Chen Zhao Sen, while a friend has spent many years with Chen Si Qiang. Chen Bing, is a 20th Generation member of the Chen family and the son of Chen Xiao Wang's older brother. He has recently opened a new school in Chen Jia Gou and this may also be worth considering. Chen Bing probably speaks English reasonably well, as he's spent a considerable amount of time living in the USA. 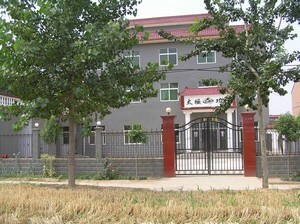 Wang Xi An's School is run by his son and also hosts a large number of young Chinese students from the age of 8-18. At the moment, few foreign students study at this school, but one of the young teachers Chen He Qiang, taught foreign students in Yangshuo for a while and so this may be an opportunity for foreigners in the future. 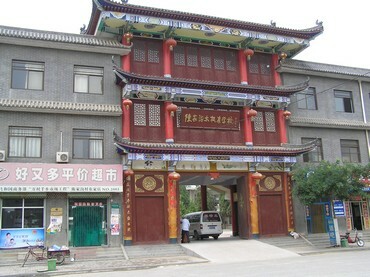 Zhu Tian Cai, a 19th Generation Grand Master, doesn't appear to have a school at the moment, just a training area in his house, but this may be the ideal environment for a Western student to get good teacher contact. I believe two of his sons and his nephew live in Chen Jia Gou full time and are happy to teach. Zhu Tian Cai's other two sons live in Singapore and he himself moves between the two places as well as teaching Worldwide. I would email them to find out who is able to teach in Chen Jia Gou at a given time. The China Taichi Guide : An Introduction to Chenjiagou's Tai Chi Schools & Teachers. Why not learn with the Taichi Masters of the Chen family.